According to research, the average American household now pays $103 per month for cable TV. And for what? What do you get on cable that you can’t get through apps like Netflix and Hulu Netflix vs. Hulu vs. Amazon Prime: Which Should You Choose? Netflix vs. Hulu vs. Amazon Prime: Which Should You Choose? It has been years since we've compared heavy-hitting streaming services, Netflix, Hulu, and Amazon Prime. And with changes in pricing, content, quality, and interface, we thought it was time to revisit the topic. Read More ? I can hear you from here: “CBS,” “NBC,” “the Super Bowl,” “the news,” “PBS,” “the UEFA Champions League”! Wrong, wrong, and wrong again. Did you know 97 percent of American households can watch NBC, CBS, ABC, Fox, and The CW for free by using an over-the-air (OTA) antenna What Can You Watch Using a TV Antenna? What Can You Watch Using a TV Antenna? What if there was a cheap, legal way to gain access to many of the big networks? You'd probably lap it up. Well, it turns out there is! Step forward the trusty TV antenna. Read More ? And did you know 96 percent can watch PBS? And that more than 70 percent can watch PBS Kids, Create, MyNetworkTV, MeTV, Antenna TV, Escape, Grit, Laff, This TV, Bounce TV, Ion Television, and Ion Life? 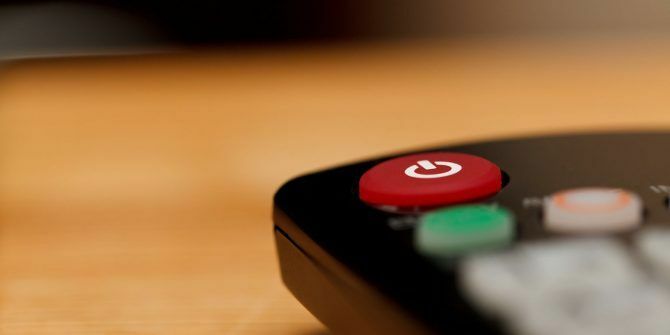 In fact, if you’re thinking about cutting the cord 7 Pitfalls of Cord-Cutting You Should Consider First 7 Pitfalls of Cord-Cutting You Should Consider First Before you cut the cord to save yourself some money, there are a few things you should be aware of. Read More , a high-quality OTA antenna is one of the first things you should invest in. However, before you give your cable company a call, do some due diligence. Make sure you fall inside the 97 percent, and verify that the signal is strong enough if you use an interior antenna. If it’s not, you might need to affix one to your roof. Federal Communications Commission: The FCC provides a free tool on its website. Just enter your ZIP code, and it will show you which channels are available and at what strength. Antenna Web: This site uses a color-coding system. Again, enter your ZIP code, and it’ll show you which channels are strongest and in which direction you need to point your antenna. TV Fool: TV Fool offers a broadly similar service, but also lets you enter the height of your antenna (if known). The height can significantly affect the quality of signal you can enjoy. Have you cut the cord? Let us know your story in the comments below. Explore more about: Freebies, Television.